President Trump was memorably presidential last night at Justice Brett Kavanaugh's White House swearing in, and the Senate Republicans, led by the most establishment figures among them, are no longer the party of genteel defeat. 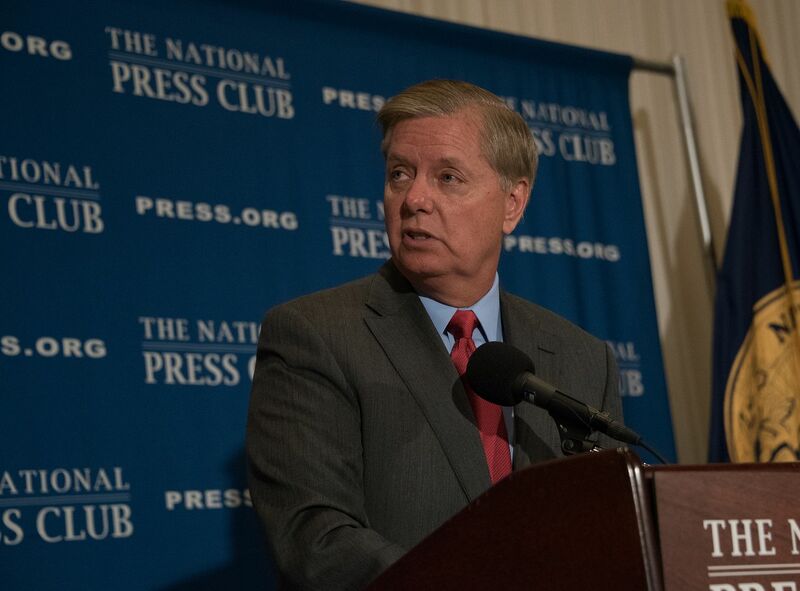 On the newly woke Republican side of the aisle Lindsey Graham is a lion. Gutsy Susan Collins cast a vote (accompanied by an eloquent speech aimed at saving the Senate from itself) that will mean she requires bodyguards for the foreseeable future. Majority Leader Mitch McConnell and Judiciary Committee Chairman Chuck Grassley managed to steer an imperiled nomination that at times seemed destined for spectacular defeat to a razor thin majority. What happened? John Podhoretz has written that "Kavanaugh happened"--Podhoretz argues that Kavanaugh himself stiffened the Republicans in testimony that set forth what was at stake and "electrified the right." The reigning cliche is that President Trump taught Republicans how to fight back--and there is certainly truth in that, too. Let me propose a third contributing factor--it has to be clarifying to see a mob roaming the corridors of the Senate. Boy, you all want power. God, I hope you never get it. I hope the American people can see through this sham....if you vote no, you’re legitimizing the most despicable thing I have seen in my time in politics. To borrow language from Podhoretz, I'd say the mob happened. Republicans knew what they were up against: people who are willing to burn down what they cannot control uttlerly. President Trump was terrific last night. I cringed when I realized he was going to mention the bitter confirmation fight. But it would have been the elephant in the room if he had not. And he was eloquent and gracious. But the evening would not have been possible without the determination of the newly woke Republicans.